 How did it start?  How is it led?  Why does it continue to experience revival?  Is it necessary, now that China has extended religious freedoms? Much of the confusion is caused by the Chinese government, which deceives journalists and foreign missionaries with promises of religious freedom that are never kept. The truth is, the house churches of China are growing at a phenomenal rate. Never in the history of the world have so many people in such a short time left one belief system for another without a hostile revolution. Lives in China are being transformed daily by the gospel of Jesus Christ and the display of His miraculous power. 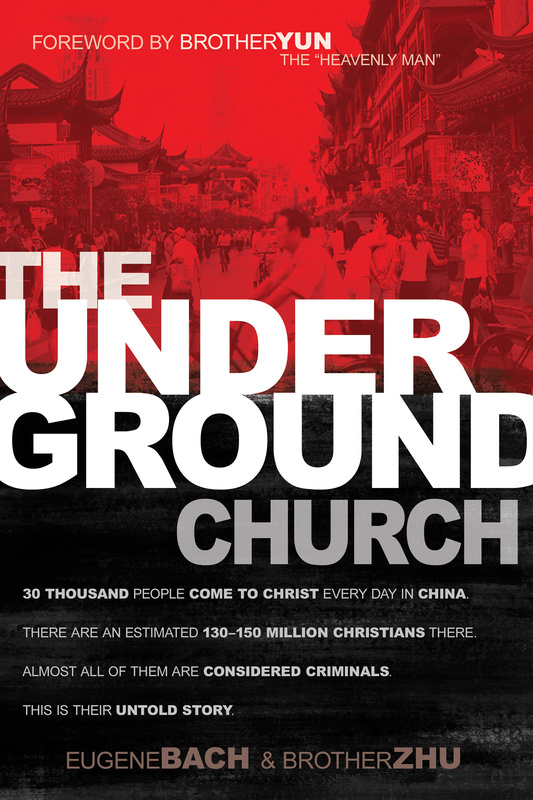 The Underground Church demystifies the Chinese house church movement, with real-life examples and personal testimonies from Chinese Christians. The movements unique characteristics  both good and bad  are addressed, as well as how they have led to the churchs astonishing growth. Be amazed at what God is doing in China! The Underground Church Paperback Book by Bach, Eugene; Zhu, Brother was published by Whitaker House in September 2014 and is our 28157th best seller. The ISBN for The Underground Church Paperback Book is 9781629111575. Be the first to review The Underground Church Paperback Book! Got a question? No problem! Just click here to ask us about The Underground Church Paperback Book.